Peter Sprague studied classical and jazz guitar in Boston. He has recorded four albums with Charles McPherson and later established a long-standing performing and recording relationship with Chick Corea and has also performed and recorded with Dianne Reeves, Sergio Mendes, Hubert Laws, Billy Childs and David Benoit. In addition to a prolific recording career, Sprague taught at the Musicians Institute in Hollywood and the California Institute of the Arts in Los Angeles and has published several books of his own works and teaching, and of his transcriptions of Chick Corea's piano compositions. Rebecca Jade grew up in a musical home, where she was exposed to a vast assortment of artists, genres and styles by her mother, who is also a vocalist. She has performed with the most sought-after musicians and at some of the best venues across the nation and the world. 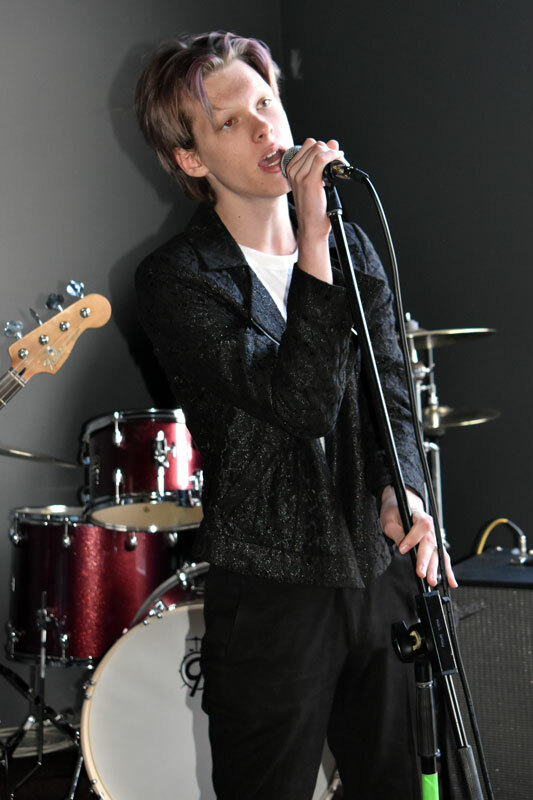 Known as a versatile performer, described by many to have a chameleon-like quality to her voice, Rebecca is able to deliver each song in a unique way, transferring the emotion of each song to her listeners. She has more than 25 years of recording studio experience. Her group project and sophomore album, “Rebecca Jade and the Cold Fact,” earned San Diego Music Awards in 2014, 2015 and 2017 and a “Best of San Diego” Award in 2016. There is no charge for the concert, which is sponsored by Scripps Ranch Friends of the Library, although donations are appreciated. Meet the musicians at a complimentary reception following the concert. The first act is comprised of three vignettes showing separate couples: a tipsy actress and the bellboy who has bedded her the night before; a gutsy Polish woman who has survived World War II and a carpenter whom she chooses to father her baby; and an acid-tongued columnist and his cool psychotherapist wife. In Act II, we meet the couples 20, 25 and 30 years later, as we learn how they ended up. Their stories are all linked together. Return Engagements is directed by Charles Peters and the cast includes Robin Thompson, Morgan Carberry, Ruth Carlson Russell, Adam Daniel, Julia Giolzetti, Natalia Maggio, Samuel Young and Nick Young. For tickets, visit scrippsranchtheatre.org or call (858) 578-7728. Four simple ingredients: Grinding stone, Sumi ink stick, Japanese brush and Washi paper are used to create masterpieces through the ancient art form of Sumi-e Japanese ink painting. 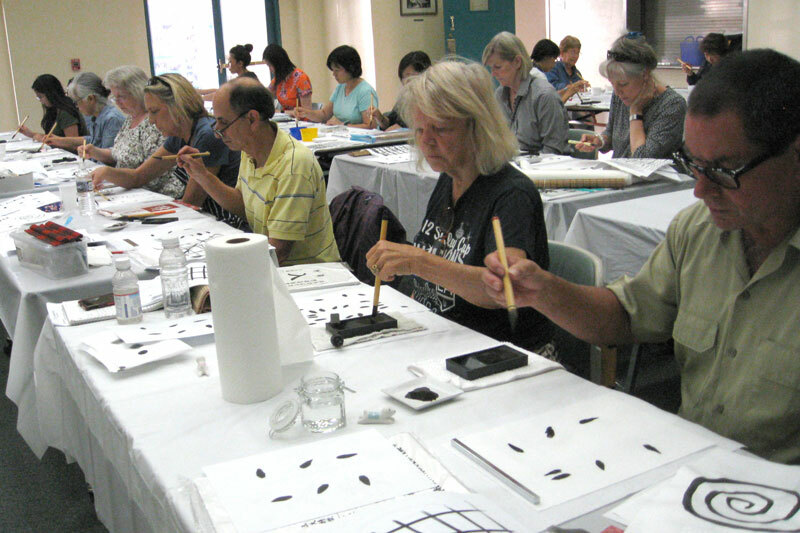 Once a week at the Scripps Miramar Ranch Library, locals learn the art of Sumi-e Japanese ink painting from instructor Michiyo Kirkpatrick, MFA. This free course provides students the opportunity to delve into the complexities of Sumi-e.
Kirkpatrick grew up in the Nara, Kyoto, Osaka area of Japan where she was inspired by the works of her late grandfather as she began painting at a very early age. “My grandfather was a known Japanese ink painter in Japan. Though he passed away before I was born, hundreds of his works of scrolls and screen paintings donated to temples remained. 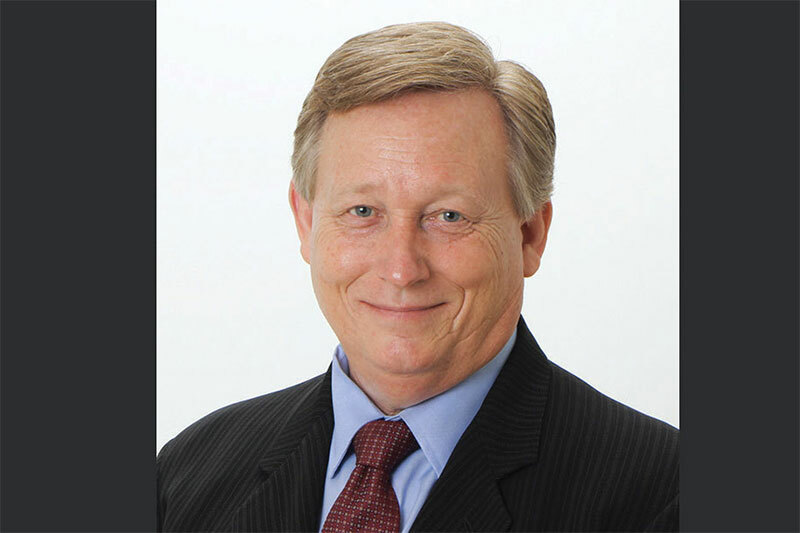 That inspired me,” Kirkpatrick said. Kirkpatrick continued her passion for art and has taught college level art and design courses including Sumi-e. The Scripps Miramar Ranch Library class is offered through San Diego Community College Continuing Education. Students can register to join anytime in the class that started in the Summer of 2018. Kirkpatrick described the class and learning environment as friendly and uplifting. Matt Belden, local Scripps Ranch resident, said he tries to fill his free time post-retirement with learning experiences, and the Sumi-e painting course fit the bill. “I’ve always loved the way these paintings looked, so I took the opportunity to give it a try. The fact that it was being offered at the nearby Scripps library was the icing on the cake,” Belden said. Belden has been pleased with the class and had high praise for his instructor, Kirkpatrick, his fellow students and the overall experience. 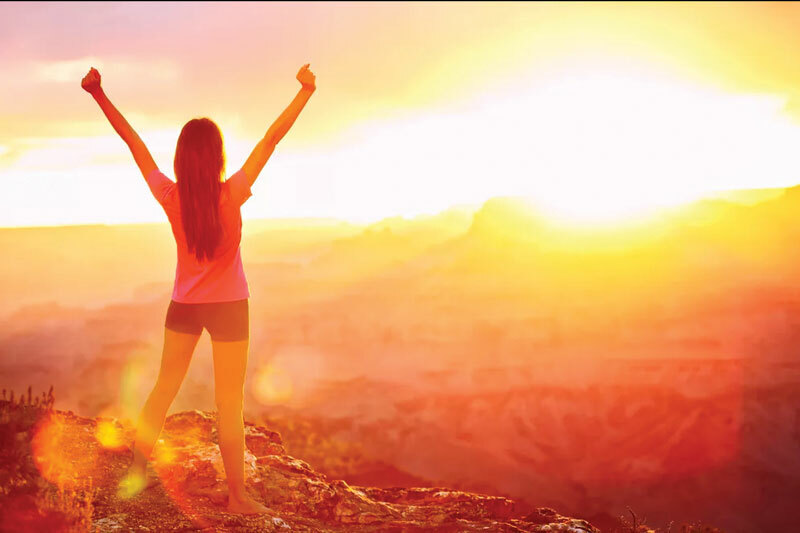 “You don’t have to be any good at this to extract great benefits from this learning experience. I believe humans need to be creative and this class is a great way to express that creativity,” Belden said. For Kirkpatrick, this art form and course offers more than just an opportunity to learn how to paint. The class takes place every Wednesday from 4:30 to 7:30 p.m. in the Scripps Miramar Ranch Library Community Room. Students will receive a list for supplies on the first day of class. Visit sandiegolibrary.org. 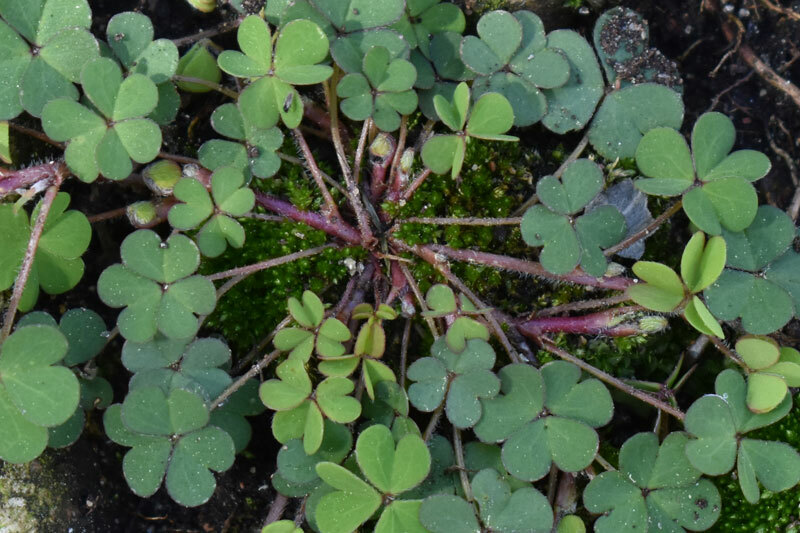 Happy St. Patrick’s Day, Scripps Ranch! While Scripps Ranch might not host a big St. Patrick’s Day parade, hold an Irish street fair or turn any of this community’s ponds green, some of the local establishments will celebrate in their own way. Here is a brief list of their offerings and events today. Celebrate the return of Make Your Own Luck Dry Irish Stout with $4 pints at Savagewood Brewing Co. on March 17. Enjoy green beer all day. Free pizza served at 2 and 6 p.m. Open 1 to 8 p.m. Sunday. Savagewood Brewing Co., 9879 Hibert St., suite F.
Newtopia Cyder will celebrate St. Patrick’s Day by helping charity with a dog adoption event. On Sunday, 20 percent of cyder sales and 10 percent of food sales will be donated to It’s the Pits Dog Rescue. Cuddle some cute adoptable pups while sipping cyder and eating delicious BBQ from Coal & Barrel. Celebrate Yappy Hour 3-5 p.m. Sunday. 10045 Carroll Canyon Road, suite A. The word is that Filippi's Pizza Grotto Scripps Ranch will put some Irish on it’s menu Sunday by offering corned beef and cabbage in honor of St. Patrick’s Day. Open Sunday 10:30 a.m.-10 p.m.; 9969 Mira Mesa Blvd. Say cheers to Ballast Point Scripps Ranch, known by locals as Old Grove, with a keep the pint offer and old school pricing this weekend through Sunday, March 17. The Scripps Ranch brewery on Old Grove Road gave Ballast Point Brewing Company the opportunity to take one step toward reaching its goals. Since then, the Scripps Ranch community has participated in events at Ballast Point Scripps Ranch like the Barking Brigade dog walks to nearby Newtopia Cyder. Soon, Ballast Point Scripps Ranch will turn the keys over to local kombucha producer JuneShine later this spring. Now it’s time to celebrate all the award-winning beers and brewers that have flowed through the brewery as the team remembers the “good old days” on Old Grove Road. Grab a commemorative pint glass with the keep-the-pint special and enjoy your favorite drafts with old-school prices from the summer of 2013. Ballast Point Scripps Ranch, open Sunday 11:30 a.m.-8 p.m., 10051 Old Grove Road. 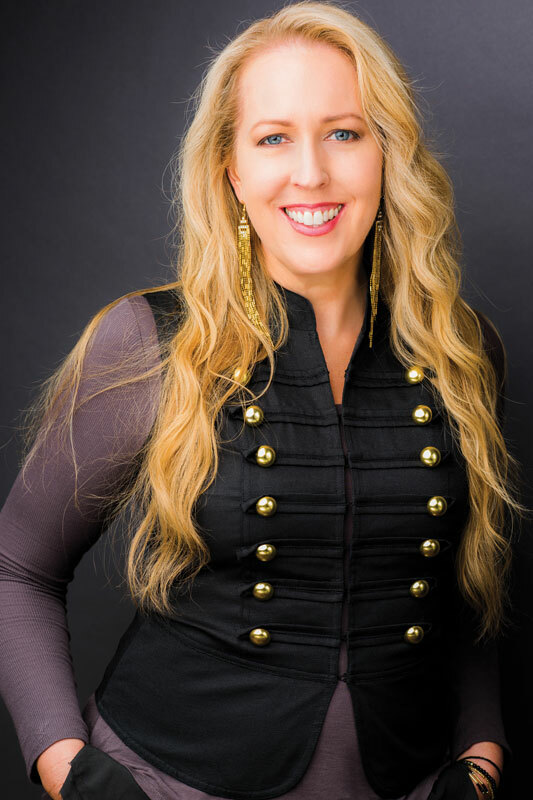 Internationally acclaimed multilingual vocalist and recording artist Allison Adams Tucker returns to the informal and intimate setting of the Scripps Miramar Ranch Library Center this weekend. 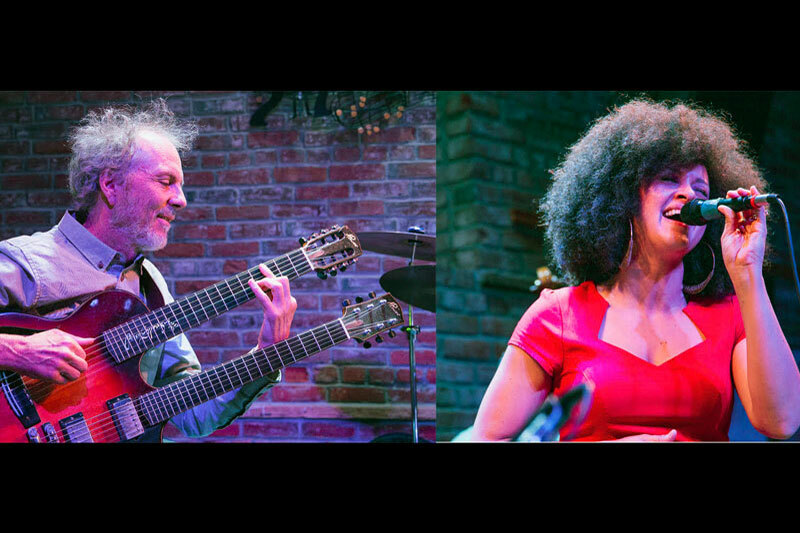 She will be performing “Jazz Mediterraneo,” her mix of jazz inspired by the sun and infused with the sounds of France, Spain, Italy and beyond in the “Pleasure of Your Company” music series on Sunday, March 10, starting at 2:30 pm. Featuring guitarist Joe Amato and drummer Claudio Rochat-Felix, their program will include gypsy jazz music of Django Reinhardt. Meet the musicians and mingle with fellow jazz aficionados at a complimentary post-concert reception. There is no charge for the concert, which is sponsored by the Scripps Ranch Friends of the Library, although donations are appreciated. Scripps Miramar Ranch Library Center is located at 10301 Scripps Lake Drive. Overflow parking is available on Meanley Drive off Scripps Ranch Boulevard. 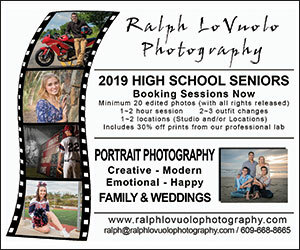 Visit srfol.org or call (858) 538-8158 for information. Scripps Ranch resident Cliff Huckleberry devoted his career to making semi-conductors for 21-years. Upon retiring, he decided to write a book. A year-and-a-half later, he had a 600-page novel on his desk. The first thing any publisher will tell a fledging storyteller is to write about a subject they are familiar with, so writing about the exciting world of computer chips seemed to be the perfect topic for Huckleberry. However, this mild-mannered widget maker morphed his story into that of a family man caught in the chaos of a worldwide terrorist plot. When this father of four began writing, he was advised to focus on a subject he was familiar with. 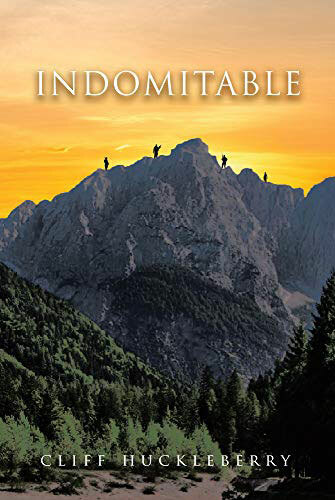 Since he and his wife, Cathie, frequently traveled to exotic locations such as Spain, Italy, Slovenia and Croatia, this became the perfect backdrop for his novel. In his book, an average family is torn apart when a rogue European country stages attacks on the United States and Europe, plunging the world into chaos. The father in the book had to find a way to rescue his scattered family – stranded in different parts of the world. 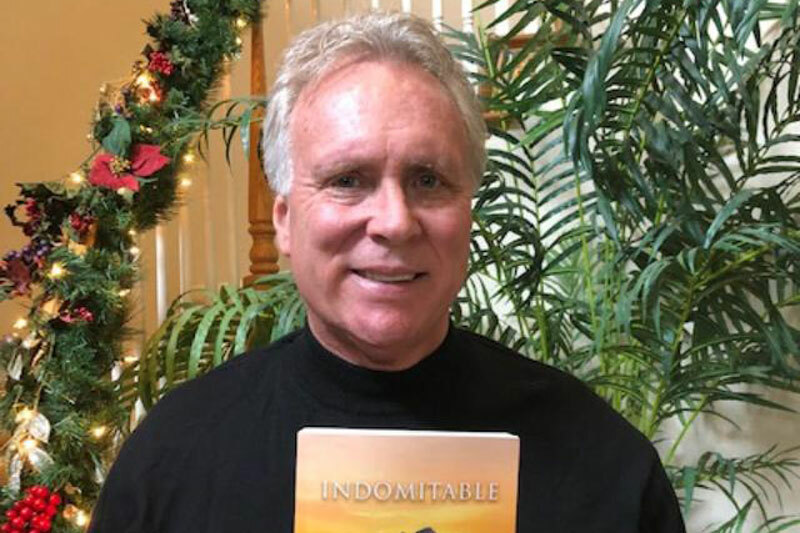 Page Publishing in New York accepted the first-time author and now “Indomitable” is available on Apple iTunes, Amazon, Google Play and Barnes & Noble. 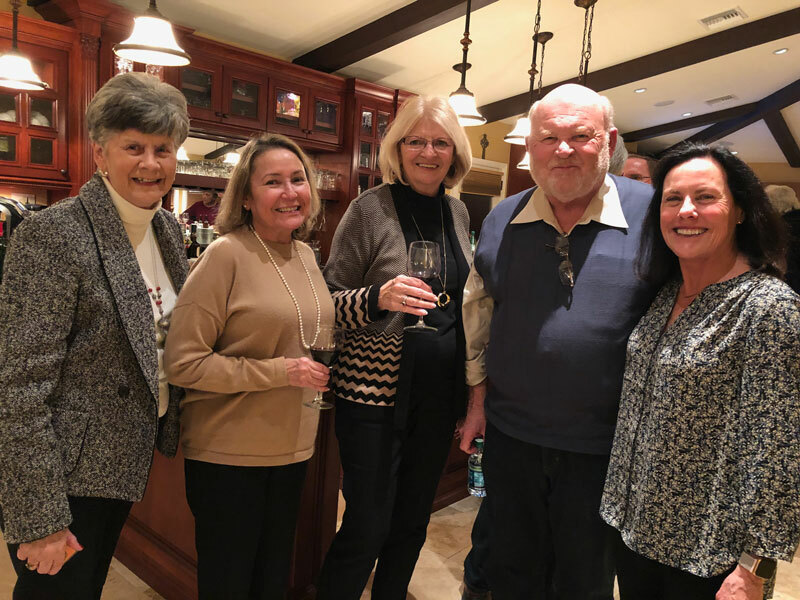 Scripps Ranch resident Christina Erdey returned to San Diego after having moved away for 13 years, only to find that her old friends were no longer in the area, and she was left with a sense of loneliness and isolation. 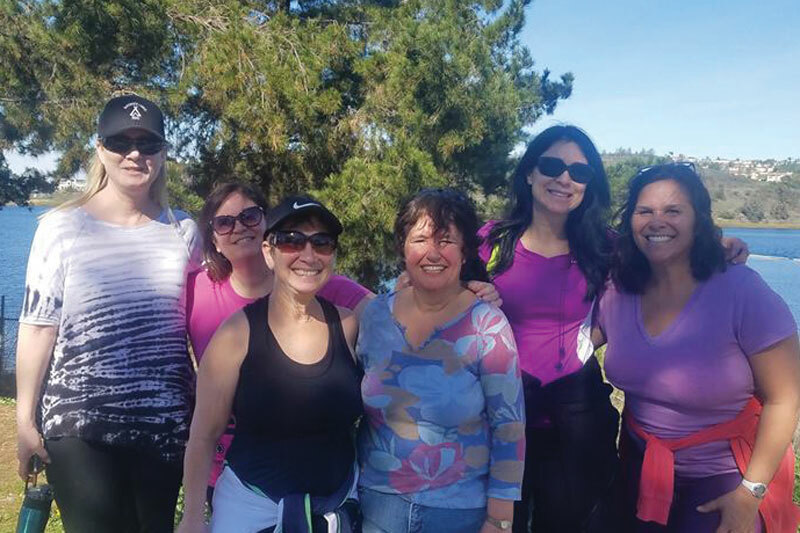 After two years of living back in San Diego, Erdey decided it was time to make local friends, and also help other women find friends as well. 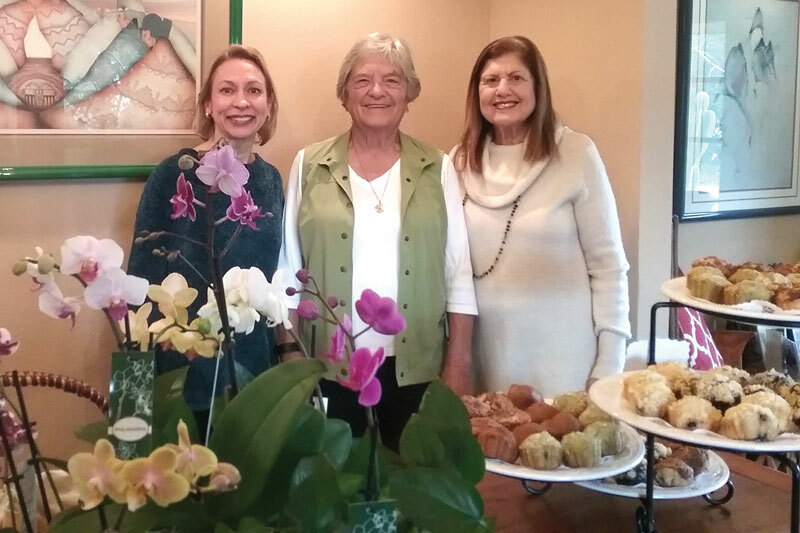 In July 2018, Erdey started Gaggle Girls, a social group for women of Scripps Ranch and Poway to meet, connect and engage in conversation. In just seven months, Gaggle Girls has attracted about 140 local women. Erdey has organized meet ups such as monthly outings to Yanni’s Bar & Grill, and monthly gatherings at the Scripps Poway Parkway Starbucks she calls “Coffee and Conversation.” Saturdays at 9 a.m. (except the third Saturday of each month), she also invites women to join Gaggle Girls on a walk at Miramar Lake. It was during one of these walks that Erdey came up with the name for the group, inspired by the geese at the lake. “A gaggle is a flock of geese and they were gaggling away, just like we were, so I thought it made sense,” Erdey said. 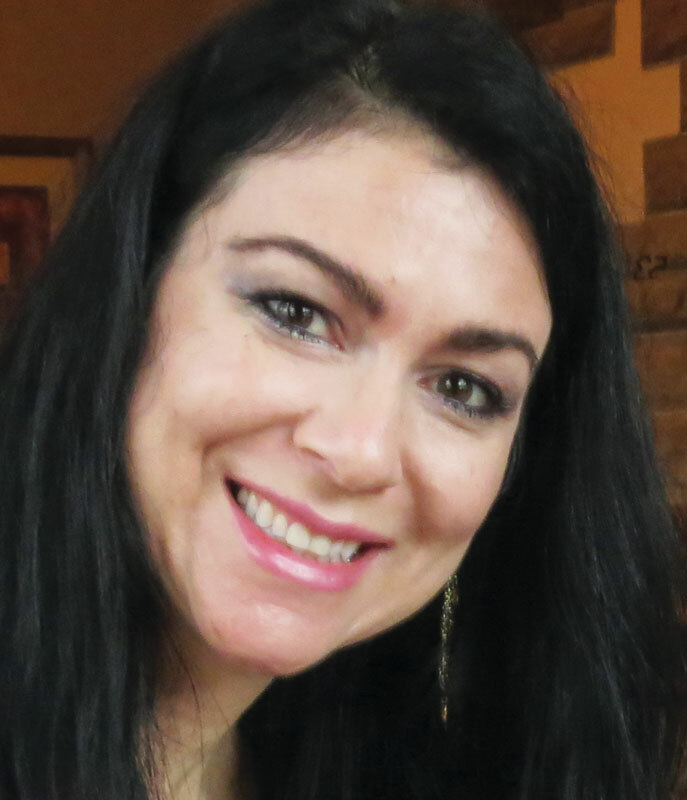 While she leads in the organization of larger group events, Erdey still encourages all women who join Gaggle Girls to connect with each other individually, to engage outside of the group activities and to cultivate meaningful personal relationships. “My ultimate goal is to just create a positive, nurturing environment that is all-inclusive and supportive,” Erdey said. Gaggle Girls is varied in its members, but is made up of single women, women with and without kids, and mostly women between the ages of 35 and 70. 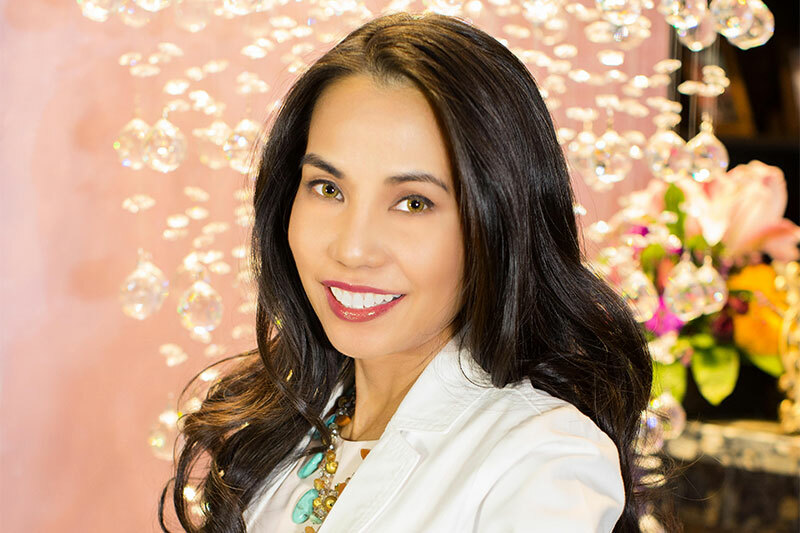 Erdey wants to encourage younger women to participate in Gaggle Girls and take advantage of the wisdom and advice the diverse group possesses. Gaggle Girls is a passion project for Erdey. While she earns no income from it, puts in several hours organizing events and maintains the Facebook page, Erdey feels tremendous satisfaction putting it all together and seeing the joy in the participants faces. “People saying thank you to me is payment enough,” she said. When she’s not helping cultivate relationships among women, Erdey spends time with her husband Jacques, who she said is just as adventurous and young at heart as she is. Jacques is a software engineer who is dedicating his free time to building the future Gaggle Girls website. Erdey is a self-employed information technology instructor. To learn more about Gaggle Girls and upcoming events, visit facebook.com/GaggleGirls. 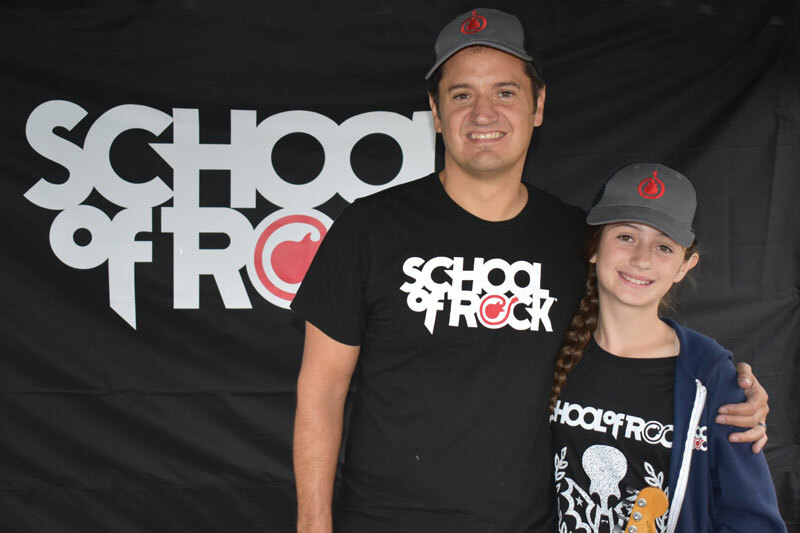 School of Rock Scripps Ranch, 12090 Scripps Summit Drive, held a very successful grand opening event on Saturday, Feb. 9. Owner Steve Peterson did an incredible job preparing the music studio spaces for the big day. Peterson greeted guests and thanked the crowd before introducing the first rock combo. The youngsters were nothing short of impressive as they performed like pros. The rock ’n’ roll decor was carried throughout the studio spaces with black and gray walls occasionally accented by contrasting colors. Vivid photos of rock bands hung from hallways, along with a few painted murals featuring rock legends. The opening day gathering including a typical San Diego rock crowd: polite and appreciative. 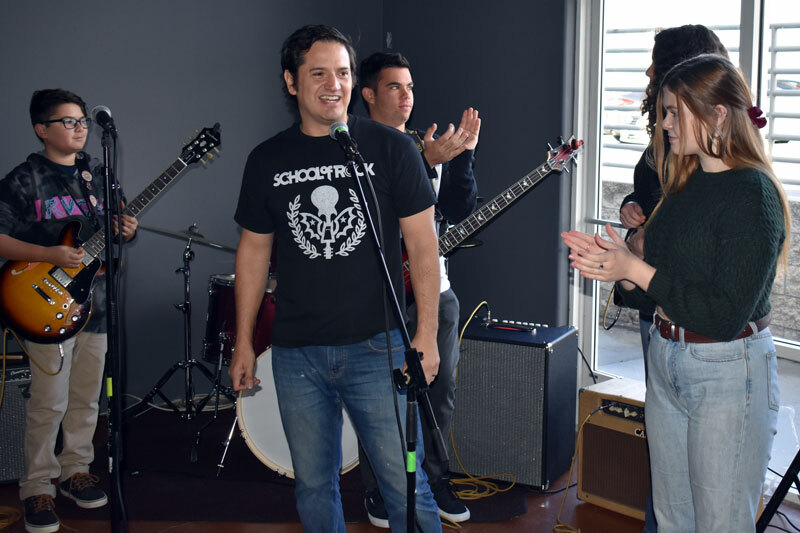 The one element that was somewhat different was the fact that this group included parents looking for quality, fun music lessons for their children. All-in-all, it made for a great vibe. 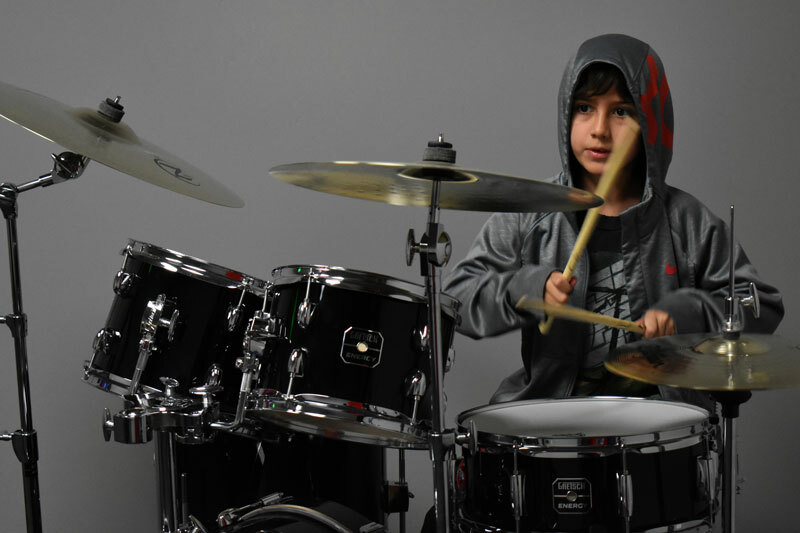 School of Rock Scripps Ranch offers lessons in guitar, bass, drums, keyboards and vocals. 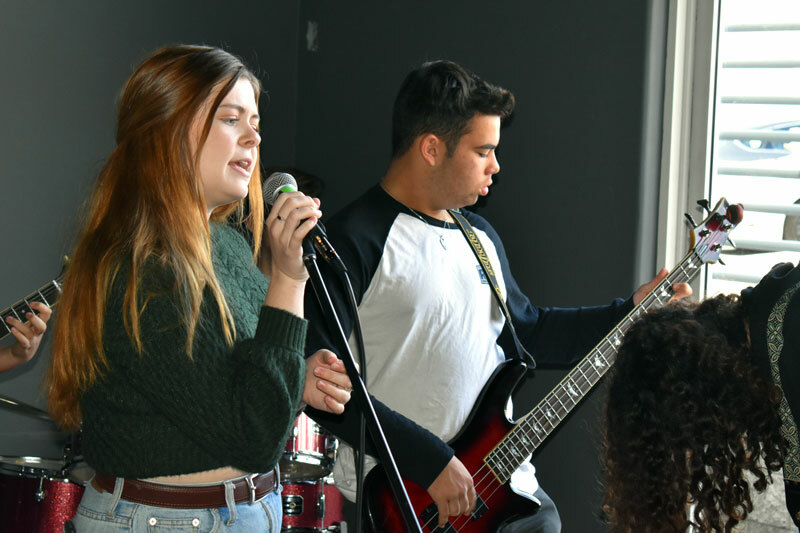 Students will have the opportunity to occasionally perform at established rock ’n’ roll venues in San Diego. Visit scrippsranch.schoolofrock.com. Scripps Ranch artist Erin Hanson invites the public to celebrate two years of The Erin Hanson Gallery in San Diego with an anniversary event from 5 to 9 p.m. on Saturday, Feb. 9 at 9705 Carroll Centre Road. Those attending the celebration can expect to view vibrant colors, bold lines and vast landscapes. Guests may enjoy Hanson’s most recent works along with live music and refreshments. The Erin Hanson Gallery moved to San Diego from Los Angeles two years ago, allowing the artist time to explore the area’s diverse environment. 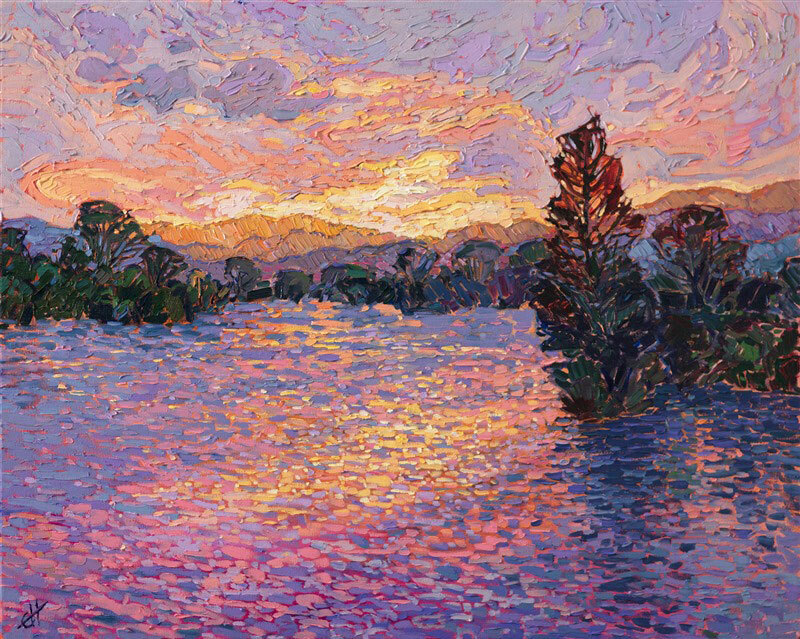 Erin Hanson is a modern master impressionist, capturing landscapes across the U.S. and the world. She has recently painted pieces depicting local, San Diego landscapes including Torrey Pines, Black’s Beach, La Jolla and the local eucalyptus in Scripps Ranch. Many of Hanson’s pieces celebrate the natural beauty of the California coast, the local wine country, vast deserts and diverse plant life. A life-long painter, Hanson began her study of oils as a young child. Her passion for natural beauty can be seen in her work as she transforms both familiar and rare vistas into stunning interpretations of bold color, playful rhythms and raw emotional impact. Her frequent forays into national parks and other recesses of nature include backpacking expeditions, rock climbing and photo safaris. Hanson's unique painting style has become known as Open Impressionism. 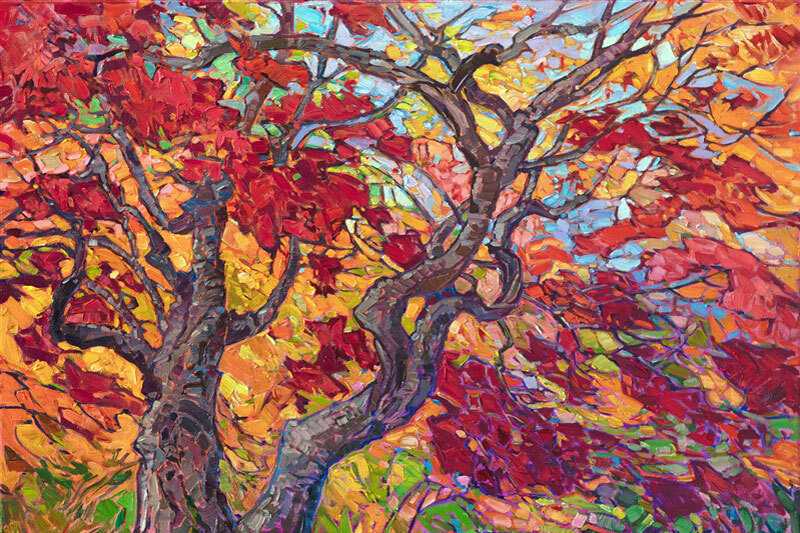 Saturday, Feb. 9, 5-9 p.m.
“Dappled Light” by Erin Hanson. 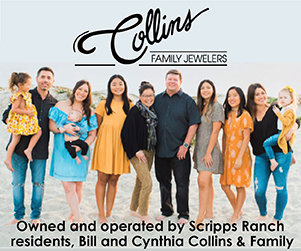 The Scripps Ranch Friends of the Library sponsors the “Pleasure of Your Company” music series at the Scripps Miramar Ranch Library, with monthly concerts on special Sunday afternoons from September through June. On Sunday, Feb. 10, the series welcomes back the Benedetti-Svoboda Duo. 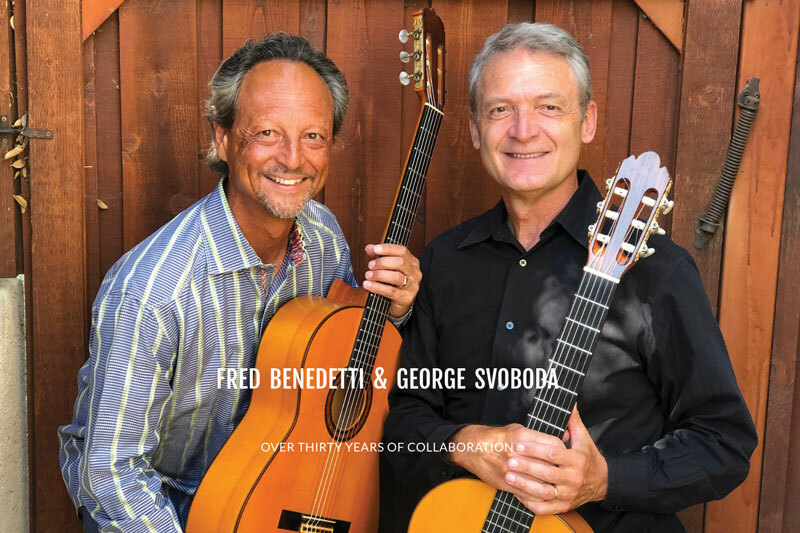 Virtuoso classical guitarists Fred Benedetti and George (Jiří) Svoboda are engaging and entertaining performers who have been performing together for more than 20 years. Their music ranges from peaceful melancholy to cascades of furious flamenco rasgueados. 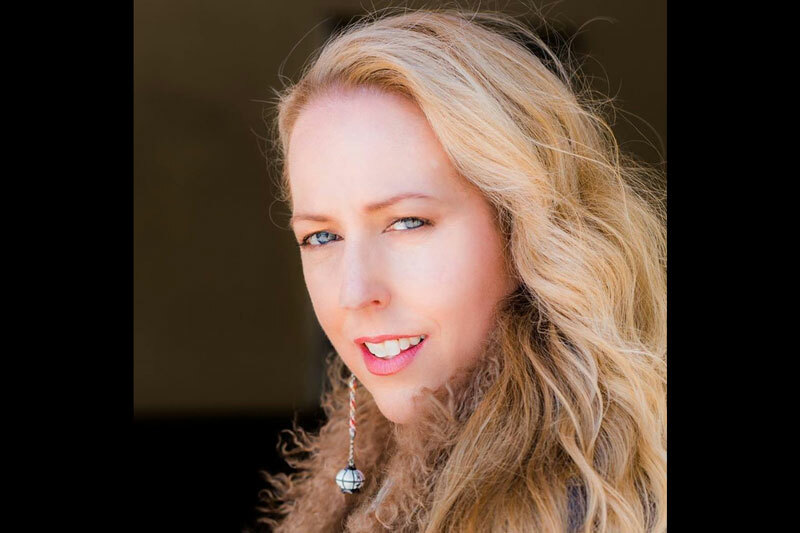 For a change of pace, on March 10, internationally acclaimed vocalist and recording artist Allison Adams Tucker will perform “Jazz Mediterraneo,” her mix of jazz inspired by the sun and infused with the sounds of France, Spain, Italy and beyond. Featuring guitarist Joe Amato and drummer Claudio Rochat-Felix, the program will include gypsy jazz music of Django Reinhardt. There is no charge for the concerts, although donations are gratefully appreciated by Scripps Ranch Friends of the Library. All concerts are on Sundays at 2:30 p.m., are one hour in length and are followed by a complimentary reception, affording concertgoers an opportunity to meet the artists and mingle with fellow music lovers. Visit srfol.org. 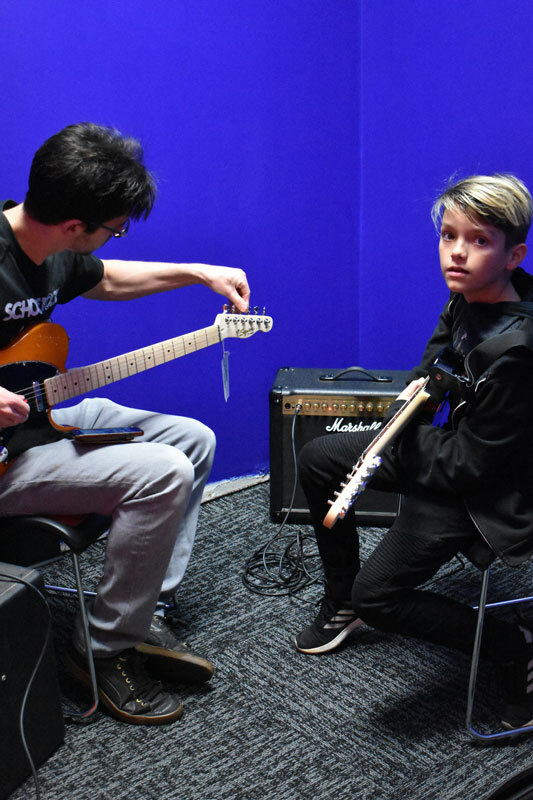 The much-anticipated opening of School of Rock Scripps Ranch, 12090 Scripps Summit Drive, is set for Saturday, Feb. 9. The entire community is invited to attend the grand opening from 11 a.m. to 3 p.m. 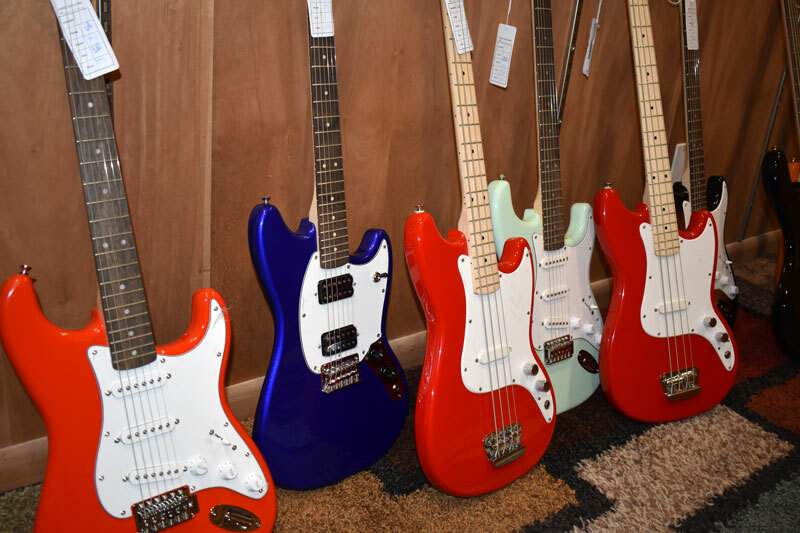 The big event will include a guitar smashing ceremony, live music, free music lessons and one-time grand opening specials. 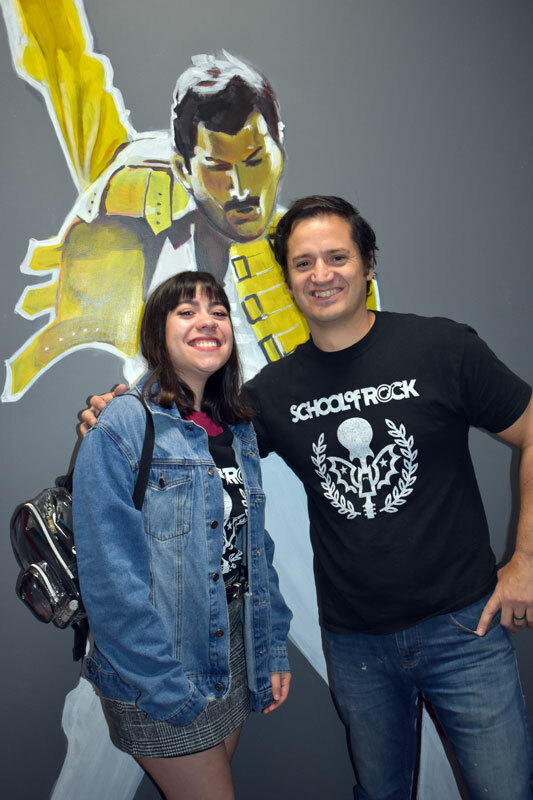 Visit scrippsranch.schoolofrock.com. A trio of veteran beer industry partners are set to open a new brewery and tasting room in Scripps Ranch this spring. Dubbed “Harland Brewing Company,” the new facility will feature up to 24 craft beer taps to suit a variety of tastes ranging from blondes to lagers to IPAs. Construction is currently underway at 10119 Carroll Canyon Road with an anticipated opening date of mid-April. 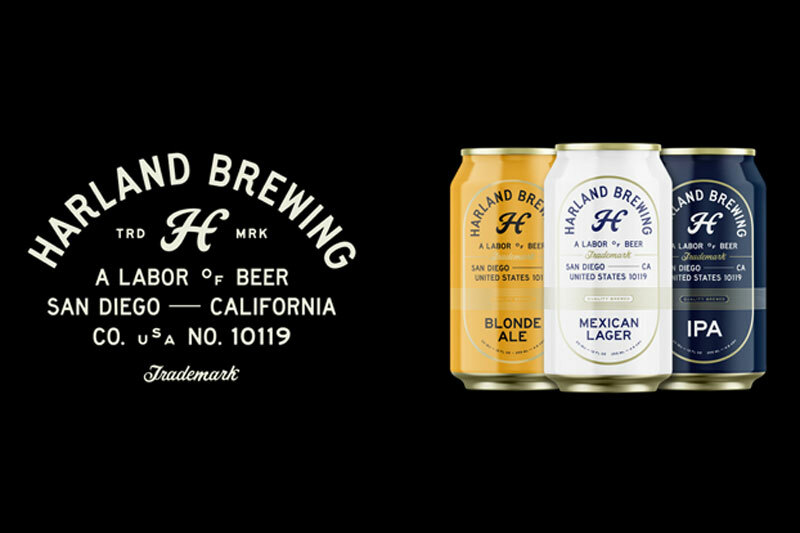 Harland is one of three businesses under the umbrella of Ocotillo Holdings LLC, which also includes wine label Claxton Cellars, as well as Scout Distribution, which focuses on distribution of craft beer, wine, hard cider and hard kombucha. According to Chief Operating Officer Jeff Hansson, the ideation for the businesses came about collectively last year with partners Josh Landan and Anthony Levas. The three had formerly worked together at St. Archer Brewing, which Landan co-founded in 2013. Following the brand’s sale to MillerCoors in 2015, however, the team noted feeling a sense of loss of the entrepreneurial spirit that accompanied their business venture, as well as longing for involvement in the beer business, specifically. Hansson also noted the team’s collective passion for building brands with their friends. Different from their previous endeavor with St. Archer, Harland has positioned itself as a gritty brand with a strong, masculine feel. 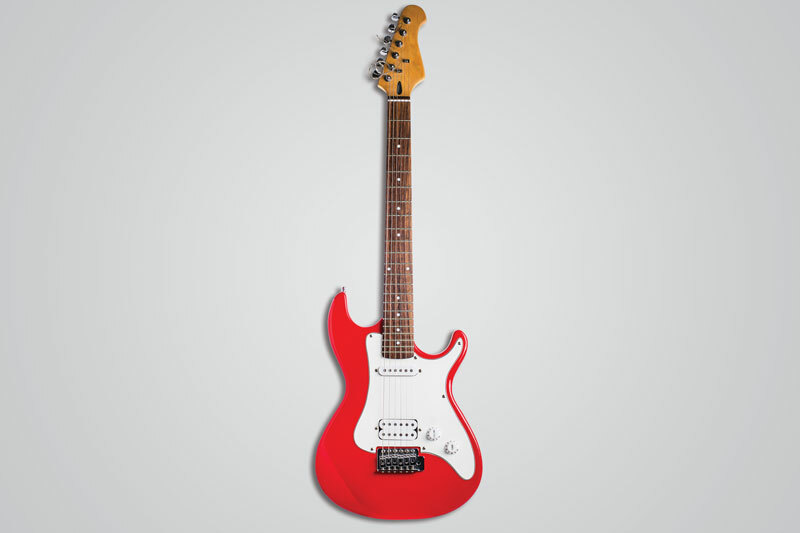 The aesthetic, according to Hansson, is Americana-inspired with very clean design elements. Their target audience is craft beer drinkers, and this time around, their vision for the business is to maintain a local focus. Production facilities for the new business are under construction in Carmel Valley and in Scripps Ranch, just down the road from Newtopia Cyder. 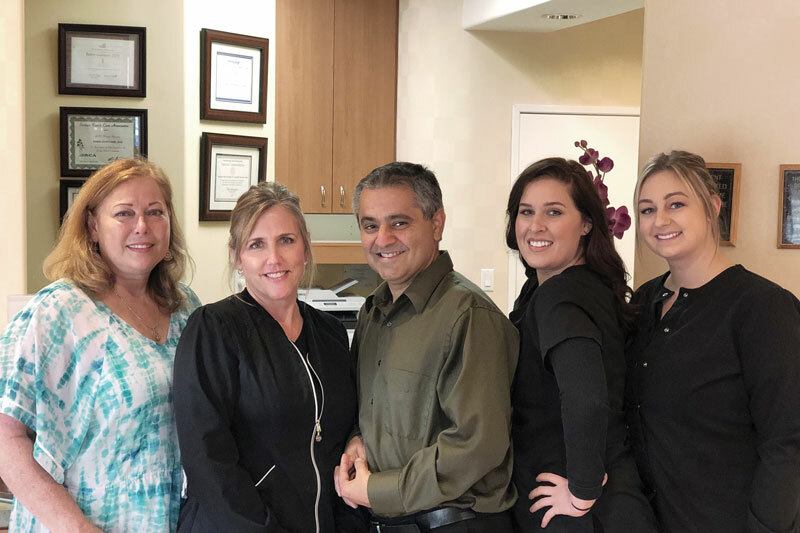 Compared to their previous experience producing their brews within a business park in Miramar, Hansson said that the Harland team is excited about its new location in Scripps Ranch because it has a genuine community, neighborhood feel. While no food items will be produced on-site at the new tasting room, Hansson said that the team will be working to contract with food trucks to have light bites available for their patrons. For those anxious to try the new brews prior to the opening of the new Harland tasting room this spring, Public House 131 will soon add Harland to its selection of beers on tap. For more information, visit harlandbeer.com.